Jeeyoon Jamie Kim joined the Department of Sport Management in August 2016 after earning her PhD from Florida State University. Her research agenda is anchored on the impact of sporting events on local communities and event consumers. Prior to entering academia, she served with the Korean Olympic Committee. For five and a half years, she worked for the International Games, International Relations and 2018 PyeongChang Olympics Task Force Teams, participating in (as a team manager), bidding for, and organizing various Olympic sporting events. 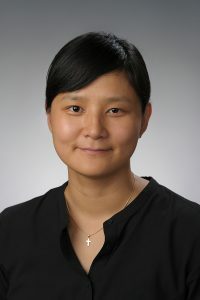 She also has experience working as an investigator at the Center for Sport Industry at Seoul National University, conducting consulting projects to develop strategies for professional sport teams. Her areas of specialization include mega sporting events, sport event consumer well-being, destination branding, quantitative research methods. She earned her bachelor’s degree in physical education and master’s degree in sport management at Seoul National University. She also earned an executive master’s degree in sport organization management from the University of Poitiers through the MEMOS program (a program endorsed by the International Olympic Committee), and was selected as an IOC Olympic Solidarity scholarship recipient for the program. She is currently an active member of the North American Society of Sport Management and Sport Marketing Association.